ArDe is a new architecture and design fair exploring ‘The Near Future of a Global City’. This five-day event uses everyday human experiences to encourage wider debate about innovative and holistic approaches to much needed change in the city. The fair provides a compelling combination of exhibitions, conferences, seminars and think-tank programs across and throughout Somerset House. With themes around urban density, societal trends, technological advances and environmental needs, ArDe invites you to an experiential journey through a series of uniquely curated installations, that challenge established views of architecture, art, interior design, landscape, and property development. With immersive exhibition spaces designed by both emerging and well established firms, visitors will open the door to the practical imagination of great minds in the industry sharing a vision of how our lives will be different in the future and how we can make our cities more resilient as well as sustainable, yet still beautiful. By exploring our urban landscapes in brand new ways and through a range of special exhibitions, ArDe considers the way we eat, sleep, wash, travel, play and work in our cities, and how these daily rituals might alter as the landscape around us changes. By engaging brands, developers, designers and architects, ArDe will prove to show that only a holistic approach to these disciplines can generate successful and new models that will affect our daily lives. The Edmond J. Safra Fountain Court will be the stage of an installation by landscape architect Günther Vogt and artist Dan Graham. Having exhibited in Marseille and Place Vendome, ArDe is proud to host their first installation in London. Spanish Architects, Teresa Sapey Studios have created a triplet of Fireflie pavilions. Situated in the Edmond J. Safra Fountain Court, these spaces are intended as places for transiting and socialising. As Fireflies biologically emit a fluorescent light, so too will the pavilions at night, illuminating the courtyard with colour and energy. Benedetta Tagliabue, is an internationally recognised architecture studio. Benedetta is designing an ephemeral installation through the ritual of “play” exclusively for ArDe. Working together with the car manufacturer SEAT, Benedetta is reinterpreting the way of living and experiencing the car, a dominant element of modern and contemporary cities. The installation aims to redesign the interior layout of it towards the future and explore new possible functions and aspirational functions. Echlin, Tree Box and Deirdre Dyson are collaborating to create the ‘Garden Balcony’, a green garden wall setup both interior and exterior, that’s dedicated to providing sustainable and aesthetic solutions by sourcing locally manufactured, recycled and environmentally friendly materials. This will be a thriving ecosystem in the heart of Somerset House with the well thought out narrative of providing transformational change to our urban environments. Additionally, ArDe will set up a shop selling technology products and limited edition furniture and design objects. Confirmed exhibitors include: Arper, Argent, Benedetta Tagliabue, Capco, Chetwoods, the Collective, Dan Graham, Deirdre Dyson, Echlin, Fernanda Marques, Günther Vogt, Heatherwick Studio, Hom Le Xuan, James Turrell, Lasvit, Oscar Tusquets, Blanca, Resolution Properties, Santa & Cole, Something & Sons, Studio Drift, Teresa Sapey, Tree Box. 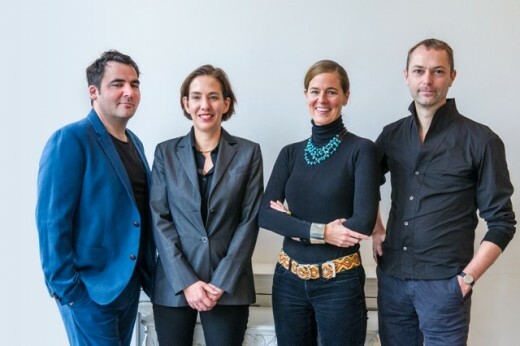 Universal Design Studio, an award winning architecture and interior design practice based in London, have been commissioned by Arde to design the overall experience of the fair as exhibition designers. It works internationally on commissions including boutique hotels and restaurants, retail spaces, galleries and renowned cultural institutions. Universal uses a bespoke approach for each client, rich in intellectual rigour and creativity, to create inspiring places with a powerful visual impact. Universal was founded in 2001 by Edward Barber and Jay Osgerby, in response to the growing demand for their distinctive design aesthetic and clever use of material details in an architectural and interior design context. The studio is co-directed by Hannah Carter Owers and Jason Holley. Esperanza Koren is the founder and CEO of ArDe. An architect with 20 years’ experience, she has worked in all fields of architecture, design and development, as well as contemporary art and events. As a supporter of emerging and established artists, Koren enables exhibitions in leading institutions and has staged large-scale installations in public and private spaces. In the 17th century, Inigo Jones presented avant-garde proposals for architecture and design through theatrical masques and where the Royal Academy staged its first public art exhibitions at Somerset House. These experiential events helped the public understand the potential impact of changes within the urban fabric on politics and society. ArDe will pick up on this tradition for a five-day celebration that will signpost ways to future city living. 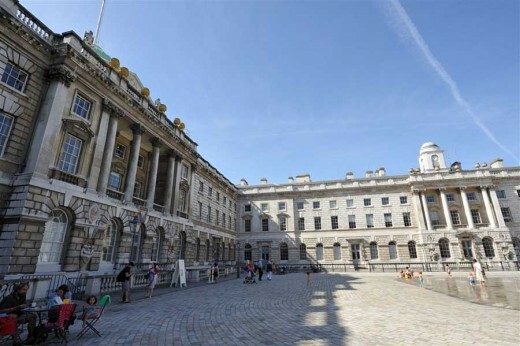 To encourage deeper development of the issues raised at the public exhibition, ArDe will convene a dedicated conference on 7 June at King’s College London, adjacent to Somerset House. ‘The Near Future of the Global City’ will welcome a renowned panel to lead discussions and debate about housing, urban regeneration, technology, property investment, finance, demography and smart cities. ArDe: a new contemporary architecture, landscape and design fair. Curated by Sam Jacob, Jane Withers and Martha Schwartz Partners. 1 December 2015 – ArDe is a new concept 8-day exhibition and conference that will, for the first time, unite the disciplines of architecture, art, design, development, property, technology and finance. It will ask big questions about how the city can change and adapt to respond to new paradigms, swelling populations and global markets. The event will propose ways for all those involved in the urban fabric to work together to create resilient, sustainable and beautiful cities. Through immersive, interactive and sometimes performative installations and events, ArDe will explore the urgent issues of today’s and tomorrow’s built environment by examining the daily rituals that we perform in our cities – from eating to sleeping, washing to travelling, playing to working. In the near future, will we be working from bed, or sleeping in the office? Will we wash in communal bathhouses, drink from public water troughs, or play at work? Visitors will be invited on an experiential journey through a series of uniquely curated installations, entitled New Rituals for Urban Living, that give a glimpse into the future of our living spaces – environments that question and provoke, that encourage us to safeguard our future, whilst savouring our present. The ArDe Property Exhibition’s multimedia environment will present the near future of London, showcasing the schemes that are helping to position the capital as one of the greatest cities in the world. The public will be able to ‘visit’ the schemes of today and tomorrow, the groundbreaking developments that are responding to users changing needs and impacting on our urban landscape, the out-of-the-box thinking that is the future of city making. Alongside the exhibition, a two-day ideas conference at neighbouring King’s College will bring together the major players in the built environment – from planners to politicians, sociologists to designers – to ask big questions about population growth, climate change and resource scarcity. Founder and CEO of ArDe, Esperanza Koren, says: “It is becoming clear that nothing of note can be done without an integrated approach. We need cross-disciplinary activity to create cities that will work for future generations”. Somerset House, the setting for ArDe, has a long history of public exhibition and performance. Queen Anne of Denmark used it as a testing ground for ideas about the 17th century city, displaying these through masques written by Ben Johnson, with set design by Inigo Jones. Many of the concepts presented at court in this manner did make it out into the city of London as we know it today, although usually in more practical forms. ArDe will pick up on this legacy, as well as paying tribute to Somerset House’s 2016 Utopia celebrations, embracing the notion that exhibitions have the potential to transform dreams about the city into reality and presenting us with a compelling and inspiring portrait of the near future of a world city. A unique part of the London cultural scene, Somerset House is an historic building where surprising and original work comes to life. From its 18th century origins, Somerset House has been a centre for debate and discussion – an intellectual powerhouse for the nation. Somerset House is today a key cultural destination in London in which to experience a broad range of artistic activity, engage with artists, designers and makers and be a part of a major creative forum – an environment that is relaxed, welcoming to all and inspirational to visit while providing a stimulating workplace for the cultural and creative industries. 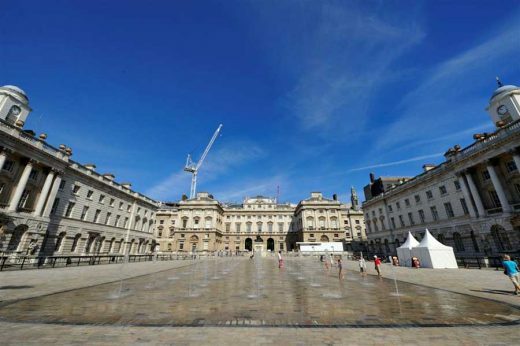 Since its opening in 2000, Somerset House has built up a distinctive outdoor public programme including Skate, concerts, an open-air film season and a diverse range of temporary exhibitions throughout the site focusing on contemporary culture, with an extensive learning programme attached. We are now home to the biggest community of creative organisations in central London including The Courtauld Gallery and Institute of Art, King’s College London Cultural Institute and over 100 other creative businesses. We currently attract approximately 2.5 million visitors every year.